Hôpital Vétérinaire Victoria has a large multidisciplinary team of veterinarians, animal health technicians, animal attendants and receptionists whose primary concern is the well-being of your pet. Our commitment to teamwork, respect and customer service ensures a positive experience in every one of our hospitals. Dr. Carle graduated from the Université de Montréal in 1987 and founded Hôpital Vétérinaire Victoria in Saint-Lambert in 1994 after working in a number of other hospitals. Over the next several years, the hospital expanded to include 4 hospitals in which high-quality medicine and empathic customer service are key. From the moment she graduated, Dr. Carle has shown a marked interest in surgery, an area in which she has had much success. Internal medicine, particularly endocrinology, is another of her passions. Since she founded Hôpital Vétérinaire Victoria in Saint-Lambert, Dr. Carle has helped train numerous students and new grads. She is known in veterinary circles for her love of animals and for the empathy and support with which she treats their owners. 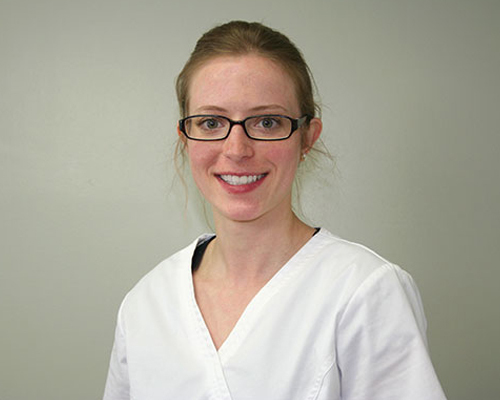 Dr. Johanie Boucher graduated from the Veterinary Faculty of the University of Montreal in 2013. She is part of the Victoria Veterinary Hospital’s team since graduating. 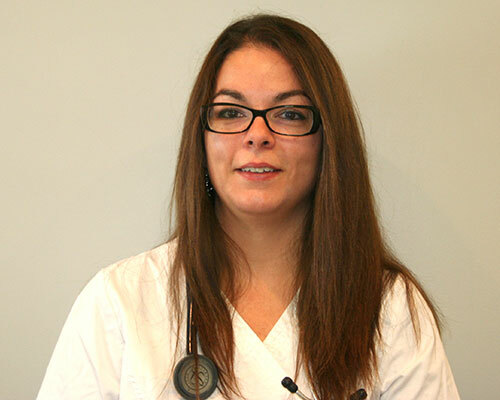 Dr. Boucher is the main veterinarian at our Montreal branch. She focuses her practice on general medicine, but is particularly fond of endocrinology and dermatology. Furthermore, she attaches great importance to the welfare of her patients and the special bond between them to their owner. 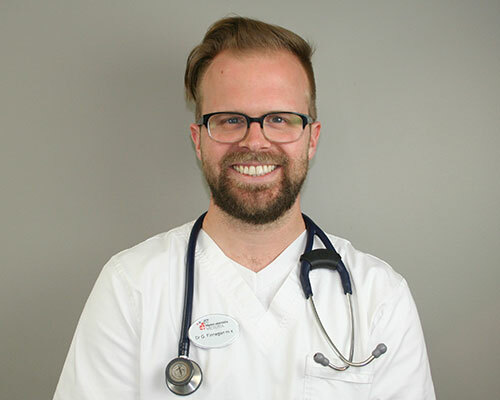 Dr. Guillaume Finnegan graduated from the Faculty of Veterinary Medicine in 2013 and has been with us ever since. After having done university studies in biology, he finally returned to the old love, medicine and small animals! He is an imaging enthusiast, especially ultrasound, he loves the contact with people and to make them happy by treating their companions. In his spare time, Dr. Finnegan practices ultimate Frisbee, golf and cycling. Dr. Daniela Gruia has always been passionate about animals with whom she spent all her free time at a young age. She graduated from the Faculty of Veterinary Medicine of the University of Montreal in 2009. Subsequently, she completed an advanced internship in medicine and surgery of small animals (dogs and cats) at veterinary teaching hospital (CHUV) of the Faculty of veterinary medicine. She began her veterinary career practicing in an emergency center on the south and north shore of Montreal. 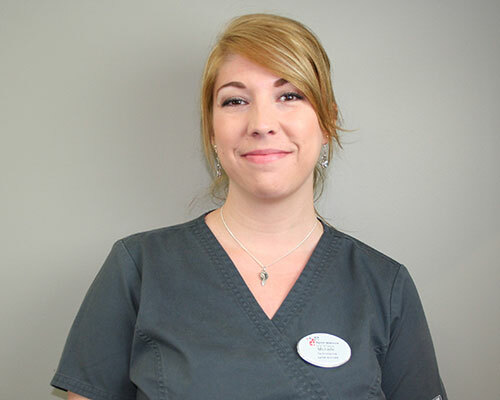 Looking for a closer contact with patients and their owners, she joined the team at Victoria veterinary hospital in Saint-Lambert in April 2012. 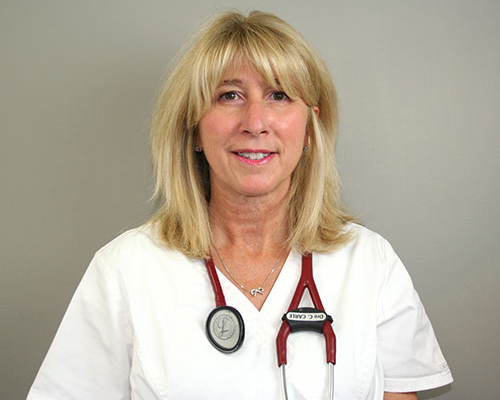 Dr. Gruia particularly likes internal medicine cases which she treats and like to follow closely with the owners. She also has a particular interest for minimally invasive procedures. This led her to complete continuing education courses and developing, since 2015, an endoscopy unit at the Victoria Veterinary Hospital. Dr. Gruia’s faithful companion is Magic, a lovely (although slightly fearful) 5 year old Golden Retriever who often accompanies her during her walks, inline skating or bicycle rides! Dr. Claudie Lepage- Rivard completed her doctorate at the Faculty of Veterinary Medicine of the University of Montreal in 2016. She later joined the Victoria Veterinary Hospital team. Before undertaking her PhD , Dr. Lepage- Rivard received her technician's degree in animal health at Vanier College, allowing her to work as a technician in a hospital for small animals part time while in college. 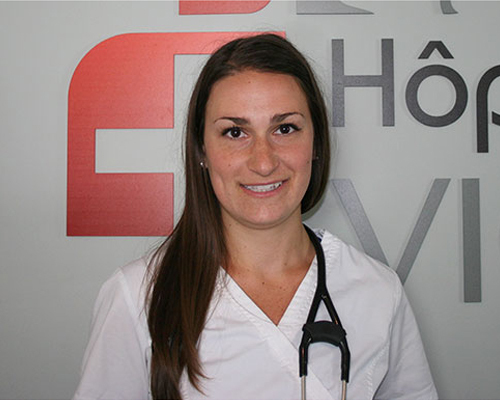 Dr. Lepage- Rivard is a passionate young veterinarian who has at heart the care of animals and animal welfare in general. She has also several years of volunteering at the SPCA Laurentides- Labelle to her name and hopes to continue to help animals as long as life allows. 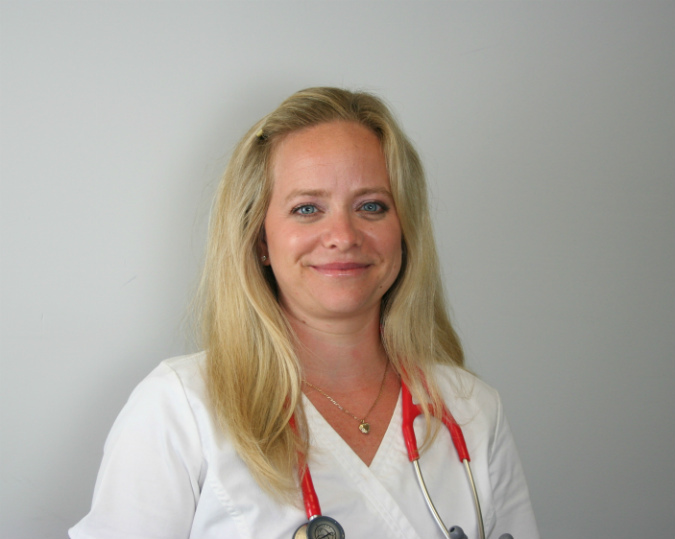 Dr. Caroline Merizzi completed her PhD in 2014 at the Veterinary Faculty of the University of Montreal. She worked 1½ years in a clinic for small animals on the north shore of Montreal before joining the Victoria Veterinary Hospital team in October 2015. Dr. Merizzi loves frontline medicine, but is particularly fond of ophthalmology and surgery. She loves the contact with animals and the clientele; doing proper follow-ups while developing a relationship of trust with the owners are all parts of her priorities. Dr. Merizzi love all animals, but admits to a particular fondness for cats! Dr. Moran is originally from Peru. She graduated from the Veterinary Faculty of the University of Montreal in 2009 and immediately joined the Victoria Veterinary Hospital team. She worked in a research laboratory on the understanding of a respiratory disease in horses. She is co-author of several scientific publications on this subject. Also, she did internships in Mexico in zoological medicine and in New York at The Animal Medical Center working on small animal medicine. In her free time, she trains hard to perform marathons and Iron Man. However, she always has time to care for her two rescues Tebow, a mastiff cross and Gazelle, a small domestic cat. She learned a lot from all her experiences and gives all her energy to improving the quality of life for your little creatures by developing a prevention and treatment plan tailored to their needs. 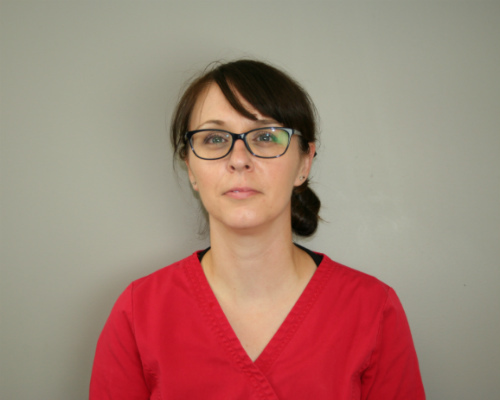 A graduate of the Faculty of Veterinary Medicine at the Université de Montréal in 2016, Dr. Julie-Anne Nantel, upon receiving her diploma in veterinary medicine, immediately joined our team at Victoria Veterinary Hospital. In parallel to her academic background, Dr. Nantel worked at the Faculty Refuge, which allowed her to improve her knowledge, but also to rescue a small amputee dog and a cat struggling with allergies. Very patient and always smiling, she is generous of her time and it is with passion that she takes care of her patients. Dr. Nantel is very fond of general medicine, but she is particularly interested in internal medicine and ophthalmology. During her spare time, she can not help but mingle with the animals and she regularly practices horseback riding. 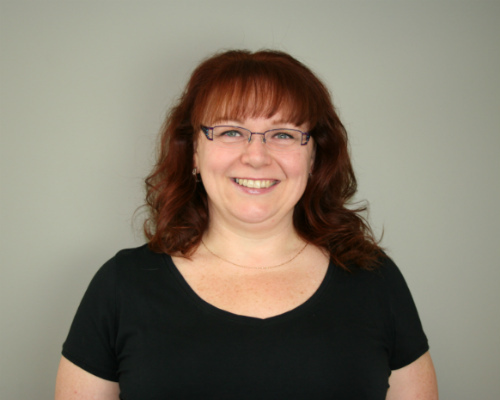 Dr. Karen Ouellet received her PhD in 2007 at the Faculty of Veterinary Medicine in Saint-Hyacinthe. Upon graduation, she joined the Hôpital Vétérinaire Victoria team. After more than 9 years in the clinic, Dr. Ouellet is still as passionate about veterinary medicine, but is particularly interested in gastroenterology, endocrinology and inflammatory diseases, not to mention preventive medicine. As the saying goes, an ounce of prevention is better than a pound of cure. 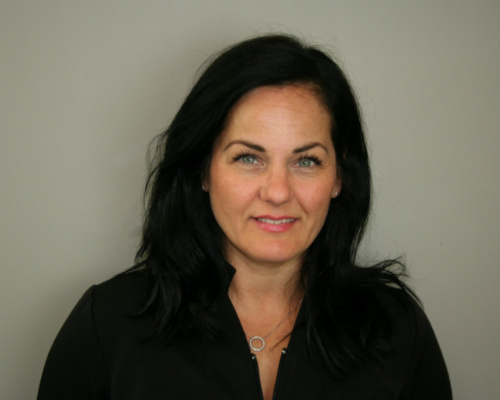 Dr. Ouellet also feels a great satisfaction establishing a good relationship of trust based on effective communication between the customer and the team, that’s what puts sunshine in her days! Dr. Chantal Riendeau graduated from the Faculty of Veterinary Medicine of the Université de Montréal in Saint-Hyacinthe in 2004. A year later, she joined the team of veterinarians at Hôpital Vétérinaire Victoria in Saint-Lambert where she developed medical imaging facilities, particularly with regard to ultrasound, a technique in which she excels. She has been perfecting her training with the Sound-Eklin Academy in Texas since 2006. Internal medicine is another of her passions, one from which her patients and colleagues benefit greatly. Following her graduation from Vanier College in 2005, Myriam decided to try everything her technique in animal health could offer her. She worked in a neighborhood clinic, veterinary hospitals, a scientific laboratory, a university research center. After more than a decade of touching everything, Myriam returns to her strength, pets and customer service, joining the team at Victoria Veterinary Hospital in November 2017. 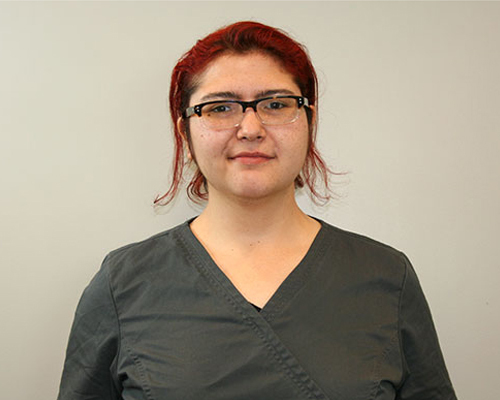 Myriam is a happy motor-mouth who sows laughter and good humor to colleagues, clients and patients of the clinic. Being a natural jokester, she will receive you with a big smile and will make your "hairy babies"'s visit more enjoyable. In her spare time, she devours everything related to American, Canadian and international films and television series. She has a little kitty at home that she loves, Pixie, who suffers from radial hypoplasia: her front legs are much shorter than those behind. Totally independent in her travels and hobbies, Pixie jumps like a rabbit, stands like a little meerkat and sleeps on her back with her four paws in the air. Allison just finished her final year of studies in animal health technology at Vanier College and couldn't be more excited to finally work in this field. Ever since she was a little kid, Allison has always really loved animals and she’s always wanted to help them. She is so happy to finally have achieved her childhood dream and is eager to learn more every day. She loves assisting the veterinarians in surgery and dentistry. Kathy graduated in Animal Health Technology at the Saint-Hyacinthe Cégep in 2011 and started working for Victoria Veterinary Hospital in the winter of 2012. What she especially likes about her job is to provide care to hospitalized animals. She also enjoys giving advice to clients on feeding their animals as well as on basic at home care for them. Kathy is passionate about all four legged animals and has been as far back as she can remember. She is particularly fond of large sized dogs large, especially her dog Harry, who she got through the Fondation Animo for life which is related to the Hospital. Carolane always wanted to be a veterinarian, she wanted to do a lot of jobs, but whenever she thought of a job, such as a police officer, she wanted to be a police officer for animals, or a house designer for animals. 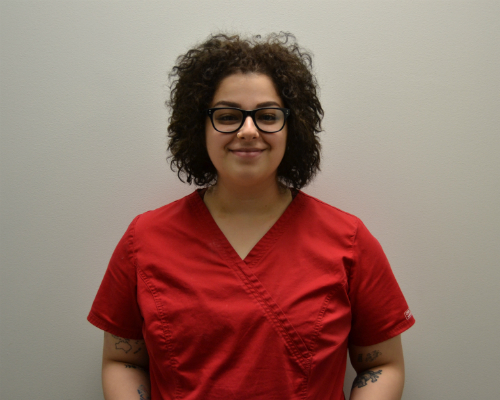 She heard about the course for animal health technicians the year before she joined the CEGEP, she had no idea that it existed, but the responsibilities seemed better suited to her personality, and 4 years later, in 2015, she obtained her diploma! She tries to maintain a balance in her life, enjoying the outdoors, sports, fashion and of course work to make the most of all that life has to offer! Long ago, Michelle knew she wanted to become an animal health technician. She accomplished her goal when she graduated from the St- Hyacinthe Cegep in 2004. She then worked in research where she honed her technical skills before coming to work at the Victoria Veterinary Hospital in March 2006. Michelle is known for her efficiency, her technical capabilities and sense of responsibility. She is also responsible for training our new technicians and our trainees, which she does with patience and dedication. When not at work, she divides her time between the arts, reading and spending her time with her cat Roxy. Having always been passionate about animals, Jade decided to undertake her studies in animal health technique. She graduated from Saint-Hyacinthe CÉGEP in 2017. 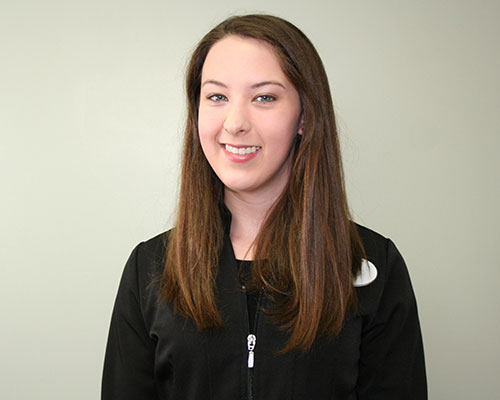 As soon as she graduated from school, Jade enthusiastically joined the St-Lambert team. In her spare time, she enjoys spending time with a good book in the company of her cat or discovering new hiking trails. 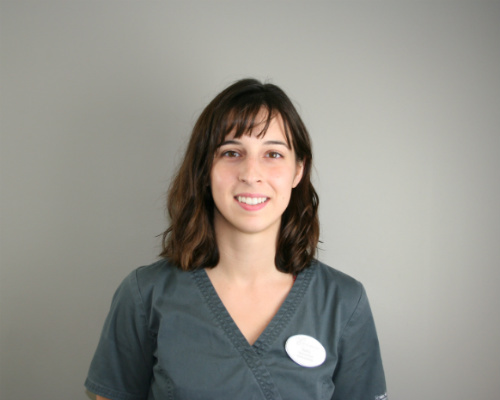 Carla graduated as an animal health technician in 2008 at Vanier College and was certified in March 2011. 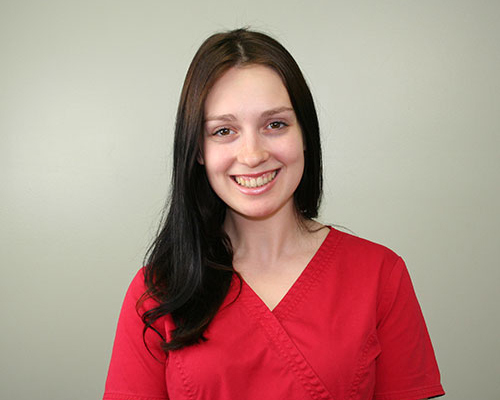 She joined the Victoria veterinary hospital’s team in April 2016. 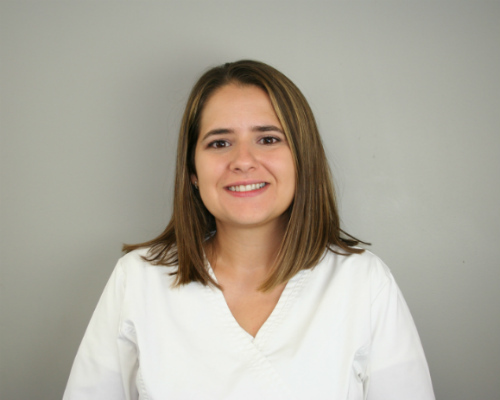 Carla has a particular passion for dentistry, with time, she took several continuing education courses to hone her skills in this area. 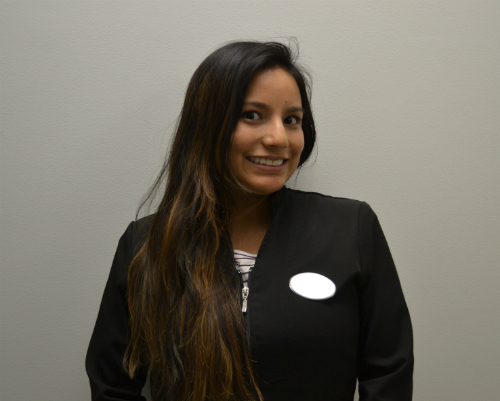 She has a great affinity with customers and loves taking care of your small four-legged friends! When she is not working, Carla spends a lot of time practicing her second passion, photography! Milena comes to us directly from the field of computer science where she worked for 15 years. She finally discovered a passion for animal behavior following the acquisition of her 2 dogs. After completing several training courses and obtaining various certificates in canine behavior, she obtained the position of behavioral assessor at the South Shore Animal Services. You may have recognized her? She participated in the popular program Refuge Animal. 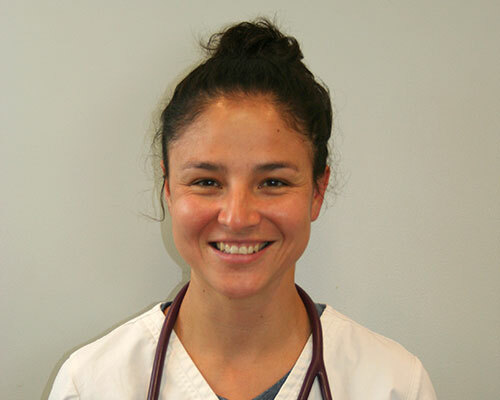 Thereafter, she worked in a referral center and finally joined the Victoria Veterinary Hospital team in January 2018. She likes more personal contact with customers and still today, sometimes repairs computers. 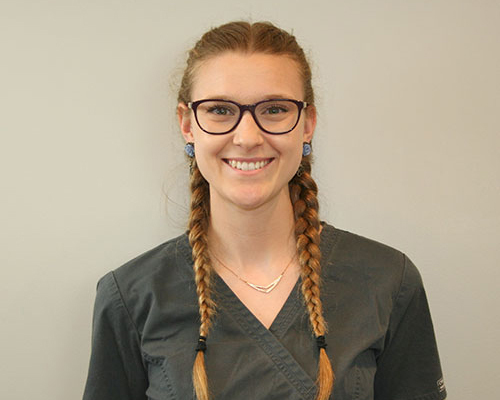 After having fallen in love with the Victoria Veterinary Hospital following her clinical end-of-the-art internship, Marie-Claire immediately joined the Montreal team when she finished her studies at Vanier College. She decided to become an animal health technician to work in the field of animals, which is her passion. In recent months, Marie-Claire has a new member in her family of small animals already including 2 cats, Baloo and Louie. This new companion named Floyd is a pretty chocolate poodle. Smiling and cheerful, she will be please to serve you and answer all your questions in both French and English, with her good energy and her already acquired love of your pet. The endless adoration Lyne has for animals existed even before she was born. When she was a little girl, unknown to her mother, she brought her dog to school (oops! Mommy had received a call from the school principal). As an adult, Lyne worked as an orderly. Although this profession made her happy, she still lacked a little spark in her eyes that she finally got when she decided to become an animal health technician. That is how, at 39 years old, she made her passion become a reality. Thus, in 2009, she graduated from College Lionel Groulx where she lived unforgettable moments of happiness with her teachers and classmates. Today, at the Victoria Veterinary Hospital, she is surrounded by the exciting professional world of animal health. 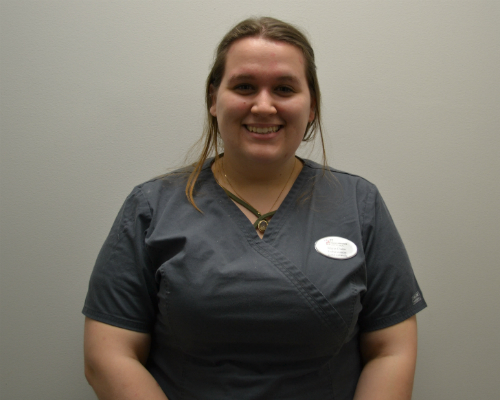 In addition to being a groomer, Mélissa is also an assistant animal health technician, receptionist and animal care attendant. In short, she only needs a degree in Veterinary Medicine to be able to perform all positions. Over the years, she has developed an exceptional communication and an incomparable instinct towards animals. She understands them better than anyone else and that is why your companion will be in good hands when being groomed. Working with us for more than 15 years, she now walks in 4 of our branches to groom your pet. Her favorite breed grooming styleis the Schnauzer!! Melissa is a dedicated and passionate employee. We can say that it is one of the reasons that the animals that have been under her care are coming back to the Victoria Veterinary Hospital with enthusiasm and tails wagging. In addition to her obvious passion for animals, Melissa is a avid reader of novels. In addition, she likes to make desserts ... We can't really complain! 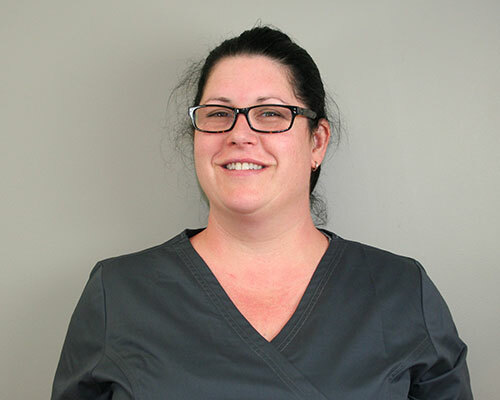 Lyne Savage is an animal health technician at Victoria Veterinary Hospital at our Saint- Lambert branch since 1998. She also lives with Catin, a 16 years old cat and Julio, a 12 years old dog. 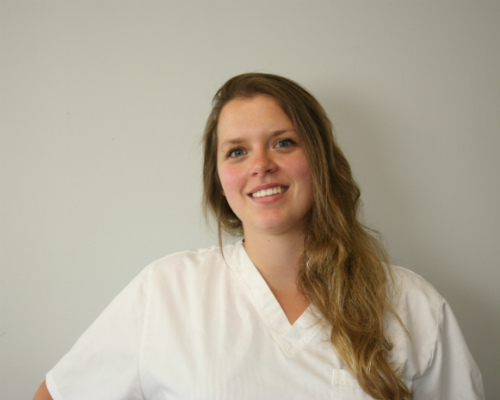 Lyne is passionate about cooking and travelling, in addition to her passion for veterinary medicine. At work, she especially likes surgeries, which always presents different challenges. Lyne loves animals so much, that as a child, she said the words "cat" and "dog" before saying "Mom"! Marie-Ève graduated from Lionel-Groulx College in 2012. She first completed her stage with us and eventually became Animal Healthcare Technician in our hospitals. Marie- Eve later returned to school to complete a degree in business marketing. She is always smiling and sows good mood wherever she goes. In addition to her passion for animals, she loves to train and spend time with friends. Her favorite breed: her dear Golden Retrievers! If you look up the definition of a "crazy cat lady" in the dictionary, you may well find Jessica's photo next to it. She has been working in the animal field for more than 5 years and as an animal care attendant with us for 1 year now. Jessica can say that she is in the right place now. Every day, we have an enthusiastic and joyful employee who takes care of your companions. She is currently the mother of a Senegalese Youyou parrot and a few cats. The latter have particular and special needs since they have cerebellar hypoplasia. Although they require extra care, she firmly believes that all animals deserve love. Adel loves being close to animals. He calls them honest creatures and full of positive energy. Originally from Egypt, Adel studied and graduated as a veterinarian in 2007. Since then, he has gained experience with most animal species (cattle, horses, sheep and small animals). Since arriving in Quebec, he has been actively working to obtain his Canadian equivalency certificate to practice as a veterinarian. During this time, he works as a technical assistant at our Greenfield Park branch. Every day, Adel comes to work with a smile wanting to help as many patients as possible. His small family consists of his wife and two children, a girl and a boy. In his spare time, Adel enjoys watching and playing soccer, water sports and fishing. Since my early childhood I have lived with many animals of different species, dogs, cats, horses, cows, alpacas and many others. I lived on a farm until I moved to Longueuil, but I never lost my passion for animals. Since April 4, 2016 I am fortunate to work with the Victoria Veterinary Hospital team and I am now very happy to be the animal care attendant at the Greenfield Park clinic. I ensure that every animal is as happy as possible and never in need of anything. I am very happy to work with and continue my passion with a wonderful team and great animals. Mélanie completed her studies in natural science at Cégep Édouard-Montpetit with the prospect of continuing her studies in Veterinary Medicine. Despite this, with the unforeseen events that life presents us, she is pleased to study in animal health technique at the St-Hyacinthe Cegep de since September 2016. Since childhood, as far as she can remember, Melanie has been passionate about animals and loves to take care of them. 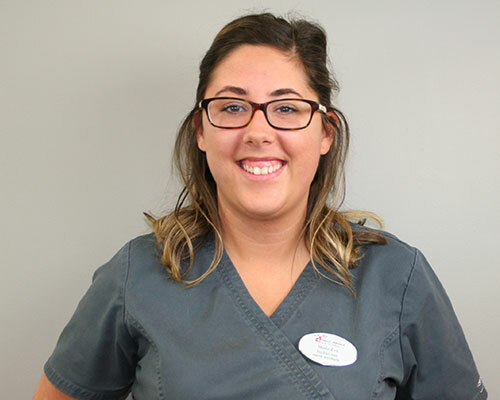 She is currently taking care of your four-legged friends and is looking to fulfill all their needs as an animal care attendant at the Victoria Veterinary Hospitals in the Saint-Lambert and Greenfield Park. 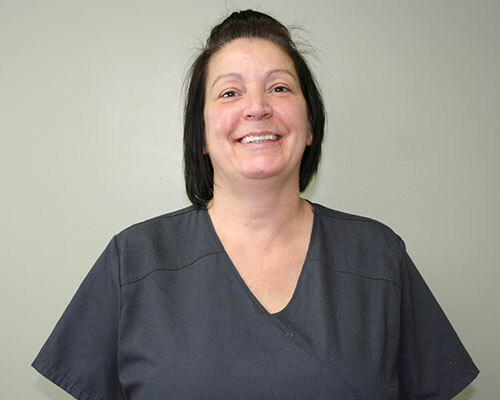 Melissa Quinn has been our animal handler at our St-Lambert clinic for 15 years! Her role is comparable to an attendant for humans, but it goes well beyond this description: she is in contact with animals during their stay at the hospital. She pampers, walk them, feed them, wash them, administers their medications and some treatments - but she also observes them ... Since animals cannot speak and express their anguishes, their pain or other emotions as human beings do, Melissa has developed an exceptional communication and unparalleled instinct with them. She understands them and knows when they are feeling well or not and warn the medical team accordingly... Melissa is an exceptional animal handler and this is one reason why animals that were under her care at Victoria veterinary hospital come back with enthusiasm with their tails wagging! In addition to her obvious passion for animals, Melissa is an avid reader - especially of novels and she loves making desserts! I am French and arrived in Quebec in July of this year. I graduated in 2014 in the field of international trade, and subsequently I worked for 2 years in customer service export. Working at Victoria Veterinary Hospital is firstly for me an opportunity to be able to diversify my professional skills, but more particularly to consider a jump to the animal healcare domain that I love enormously. At home, I have a Malamute female from Alaska called Vulka who flew from France with us, and who loves to visit us at the clinic! Originally from Quebec City, Eva moved to Montreal in 2014 with the goal of completing a course in canine behavioralism. It is in 2015 that she started working in an animal food store. As part of this job, Eva had the chance to follow several courses in pet nutrition. She wishes to continue to acquire knowledge in nutrition to help both humans and their companions. Eva has always been interested in animals. From her youngest age, she was actively involved with pets who joined her family. Indeed, she's had hamsters, birds, dogs and cats. Today, she shares her life with a boston terrier named Leopold and a domestic cat named Buck. 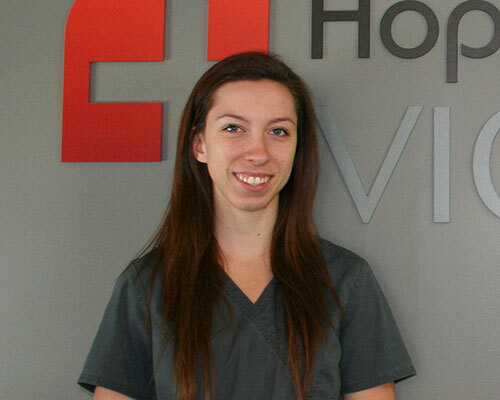 In May 2017, Eva joined the Victoria Veterinary Hospital team as a receptionist. She is happy to welcome you and guide you during your visit. Receptionist since 2015, Dana loves animals. She is a dog walker for the SPCA and foster's animals in pre-adoption. She did her university studies in education but her passion has always been for animals. Dana was also a cafe owner for 8 years but again, her passion for animals led her to our clinic in Montreal, where she will always welcome you with a smile. Terry has been part of the Victoria Veterinary Hospital team for over 30 years! She had a mix breed dog named Roxie that Dr. Léger treated and with time he offered her a job as receptionist. Terry always wants your satisfaction as well as your four-legged companions’ well-being. She has no pets right now, but had all them all her life ... large dogs and often two at a time! She likes to do arts and crafts such as acrylic painting, stained glass, crochet and tatting, in fact, anything that is handicraft. She will be pleased to answer all your questions, don hesitate to ask her. France has been receptionist at our Saint- Lambert hospital for over 8 years. Although her training is in aesthetics, her love of people, customer service and need for a job well-done led her to work with the Victoria Veterinary Hospital’s team to serve clients and their four-legged friends. She is herself an animal lover and owner of Jesus an adorably cute cat, she will be happy to answer your questions and properly guide you with your purchases for your pets. .France likes to make trips to New York City, dancing and listening to music. She awaits to greet you at our Saint-Lambert hospital with great pleasure. Cassandra always loved being around animals. She herself has had the chance to have dogs, a cat, hamsters, a bird, ducklings and even chicks! Even though dogs are her favourite, the well-being of all animals is very important to her. She earned her dental secretarial diploma in 2013, but when the opportunity to work alongside other animal lovers came, she jumped on the occasion. Cassandra has now been with the Greenfield Park team as a receptionist, since February 2016. All though she is new to the field, she contributes her many years of experience in the customer service industry to the hospital, and is satisfied every time a happy, big or little patient walks out the door. As clients come in for their appointments, she loves being able to communicate with them in order to learn more about their pets. When she isn’t at the hospital answering your phone calls, she is at home reading, tending to her garden, or playing fetch with her dog Whiskey (even if he doesn’t always give the ball back). Dog hugs and paw shakes are always welcomed to Cassandra. Émilie began working in the banking industry as a cashier, reception and telephone agent for a period of three years before returning to the school benches at Collège André-Grasset by enrolling in the Quebec Building Inspection program. Since then, she has held various positions, all related to construction, while continuing her studies to obtain her diploma in occupational health and safety from Téluq in 2015.However, her true passions are animals and eyewear! So here she is now with you as a receptionist to make the most of seeing lots of cats and dogs while she goes back to school to become an optician in a few years. She also wanted to be an Animal Health Technician, but soon realized that she did not have enough nerves for certain tasks. She’s had dogs since her childhood, ranging from Boxers to Schnauzers as well as fish, birds and hamsters; today her beloved pet is Blacky a Boston Terrier / Schnauzer mix. Otherwise, she loves reading crime novels, watching TV series and doing Zumba classes. Alexandra is a 2nd year student in animal health technique at Cegep St-Hyacinthe, she is hardworking and cares about animal welfare. Since joining our team, she has been known for her joie de vivre and good humor. She enjoys acquiring new knowledge, alongside our technicians and veterinarians to develop new skills. Outside of work, she enjoys the outdoors and regularly horseback rides. 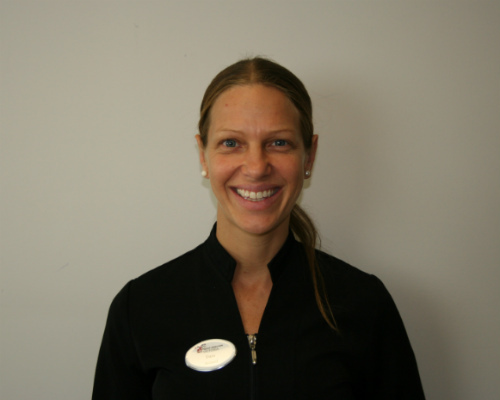 Isabèle has been part of our team for over 18 years. She did her studies in Geography / History but her love for animals made her change her field of work. She worked both as receptionist and animal technician but now occupies the administrative assistant role for our four hospitals. Even after many years of experience, she is still as passionate about the welfare of animals as well as customer service. Isabèle loves all animals but has a special place in her heart for cats. She loves reading, cooking sweet treats for her family. 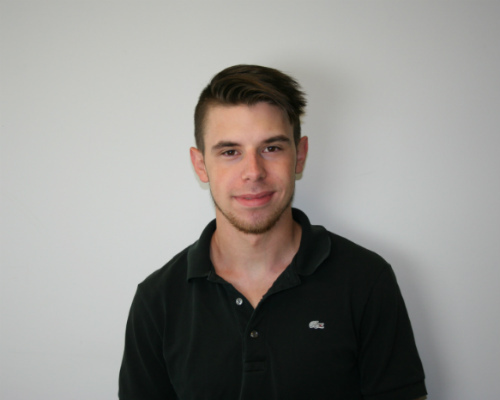 Marc-Antoine is an administrative clerk for our hospitals. 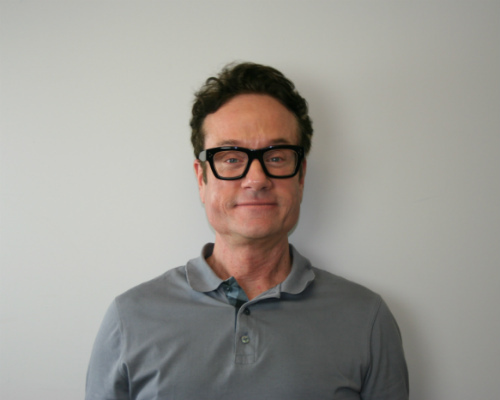 Paul-Hubert is co-founder and the administrator for our hospitals.